December 27, 2018 in Education // Could Malden become a “pocket of civility” in an uncivil country? May 18, 2018 in Featured // Can Malden’s Transit Woes Be Eased with Smart Planning? 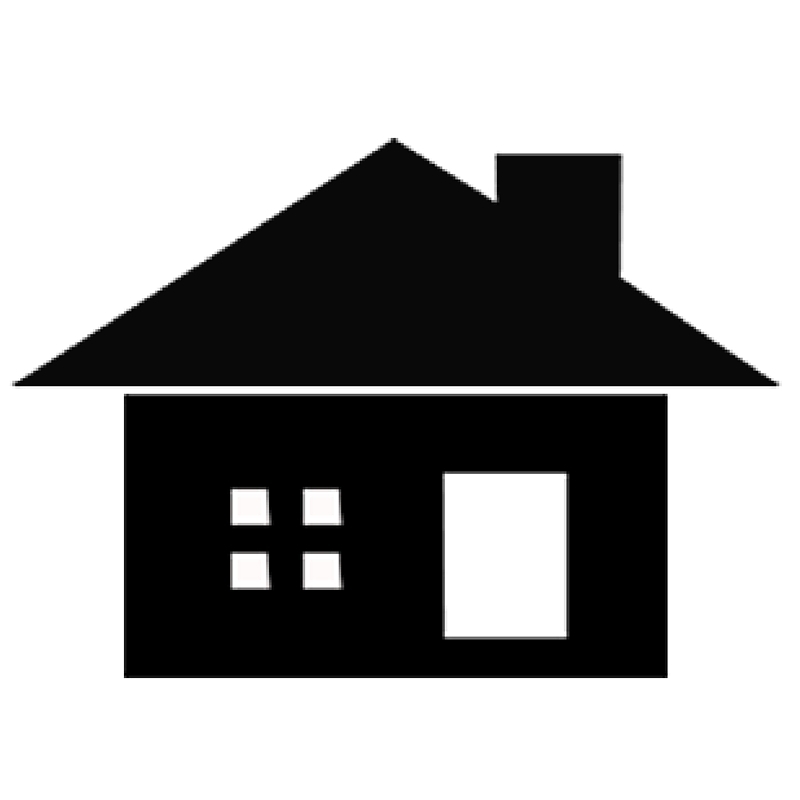 May 7, 2018 in Arts // Who are our neighbors? U.S. 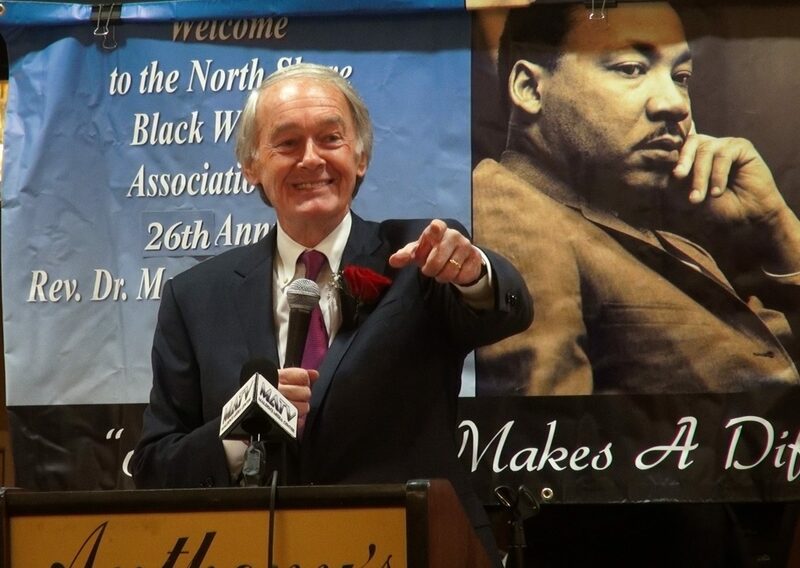 Senator Ed Markey, a Malden native, captivated the crowd with his speech Jan. 19 at the North Shore Black Women’s Association’s 26th Annual Martin Luther King Jr. Luncheon on the weekend of Dr. King’s birthday. Ed Markey delivers speech as an honoree at the 2019 MLK Luncheon. 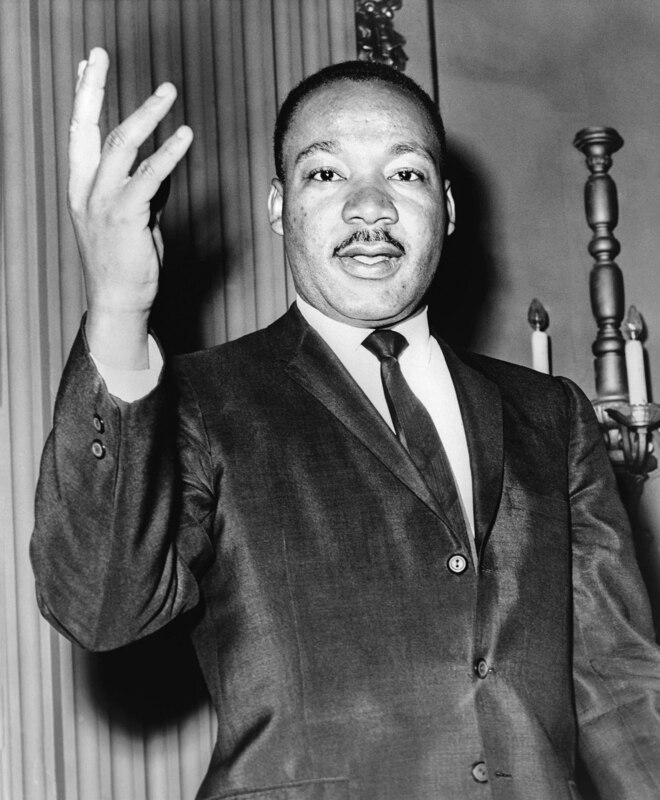 “Oh, how we still miss his wisdom, his position, his integrity,” Markey told participants at the luncheon, held at Anthony’s restaurant, which commemorates Dr. King and his contributions to peace, justice, and equal rights in the 1950s and 1960s. The NSBWA honored Markey and three other community members during the annual event: children’s author Lesa Cline Ransome, state senator Jason M. Lewis, and business owner Allen Levine. Malden Recovery Court Judge Benjamin B. Barnes served as keynote speaker. Markey focused many of his comments on the government shutdown, then in its fifth week. At that time, multiple government organizations were closed and more than 800,000 federal workers were furloughed or working without pay due to an impasse over funding for security on the country’s southern border. “Even at 90 years old, you know Dr. King would’ve been out there this weekend with the tens of thousands at the women’s march, marching, calling for equal pay and better paid family leave,” Markey said. Markey, who grew up in Malden in a house just three blocks from the event, energetically voiced his opinion of Trump’s proposed wall on the U.S.-Mexican border. Markey also critiqued Trump’s “divisive” agenda. With issues like immigration, abortion, gun control, and gender equity at the forefront of the national conversation, the senator urged his audience to consider King’s words that encourage citizens’ involvement in politics. Markey said Dr. King would be proud of women’s continued crusade for gender equity today. “[Dr. King] would smile because he would see the fight for equality for our sisters, our mothers, our aunties, our daughters, our granddaughters is as strong as ever,” said Markey. In his keynote speech, Judge Barnes, a Cambridge native, addressed how Dr. King’s work laid the foundation for social change today. Lewis, who represents the Fifth Middlesex District which includes Malden, said the annual luncheon “was one of the events that I most look forward to every year.” Lewis has a keen knowledge of how racial inequality can leave lasting scars; he was born in South Africa when that country was under an apartheid system and came to the United States when he was 12 years old. “We certainly have come a long way but we still have a long way to go to realize Dr. King’s dream of justice, equality, opportunity for all,” Lewis said. Levine, a long-time salesman, said Malden stands out from other communities because of its citizens’ friendly attitude. Ransome emphasized how important the Malden library was to her career as a writer. Doreen Murray, an annual performer at the luncheon, provides stirring vocals. In an interview with MATV, Markey, who was first elected to Congress in 1976, praised the social progress made since Dr. King’s lifetime. “[This event] celebrates the great progress that we’ve made since he passed away, but also all the work we have yet to do to make sure that everyone has access to all of the opportunities in our society,” he said. 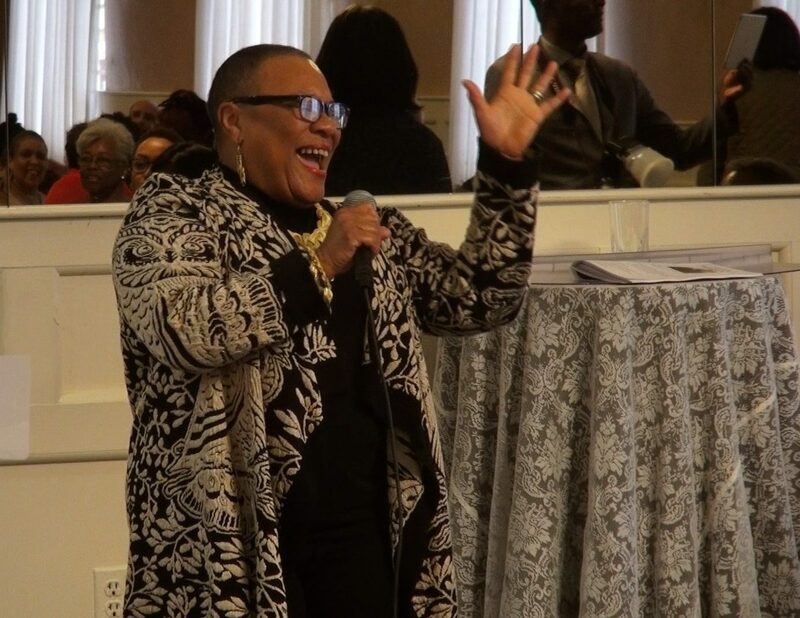 The North Shore Black Women’s Association has commended individuals who exemplify Martin Luther King Jr.’s ideals of academia and public service every year since their inaugural luncheon in 1993. NSBWA members also award scholarships to outstanding incoming or current college students at the event. Performers sing the Black National Anthem and others songs of significance to the African-American community, and a raffle is conducted to raise money for the association. The video montage below provides a glimpse into the luncheon, an annual community event in Malden. Diti Kohli is journalism major at Emerson College, currently interning at MATV, Malden’s Media Center. 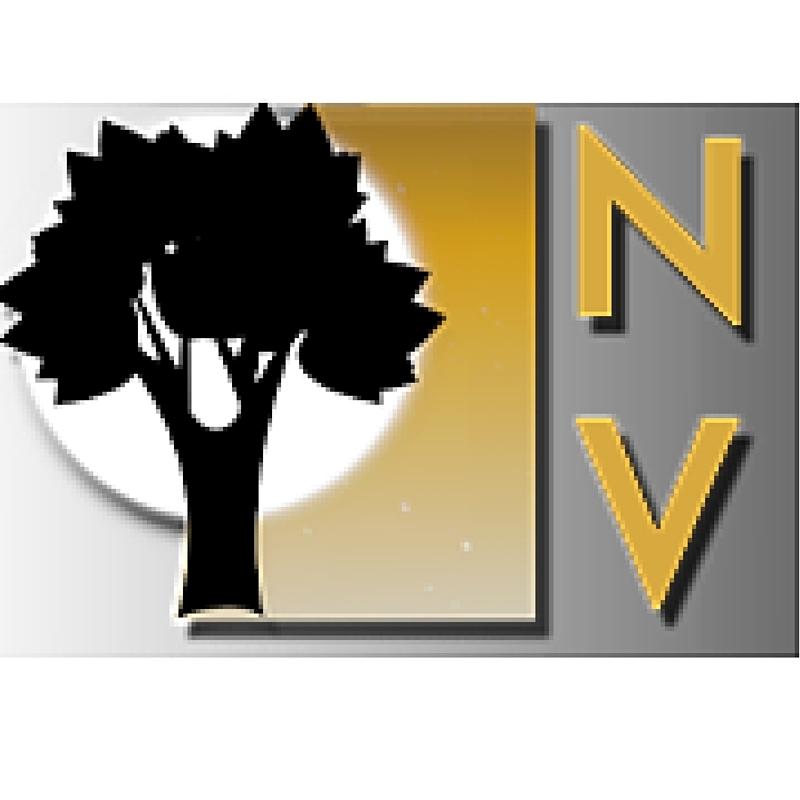 The Neighborhood View editorial team meets monthly at MATV to discuss stories, generate ideas, and provide support. We encourage both current and future citizen journalists to attend. Email editor Stephanie Schorow at sschorow@comcast.net for more info.